Authorities are looking for a thief who swiped an iPad from a woman as she rode a bus in Pembroke Park last month. Jennifer Lynn Hunt, 33, was riding the Broward County bus in the 5500 block of W. Hallandale Beach Boulevard back on Sept. 27 when the incident happened, the Broward Sheriff's Office said Monday. According to the BSO, the unidentified man got on the bus in east Hallandale and took a seat near the victim, who was sitting near an exit with her iPad. The man, who was wearing a white T-shirt and red shorts, pulled the stop switch and waited near the rear exit door for the bus to stop. Once the doors opened, he grabbed the iPad from Hunt and took off running on Southwest 55th Avenue. Hunt tried to chase the man but was unable to catch him. 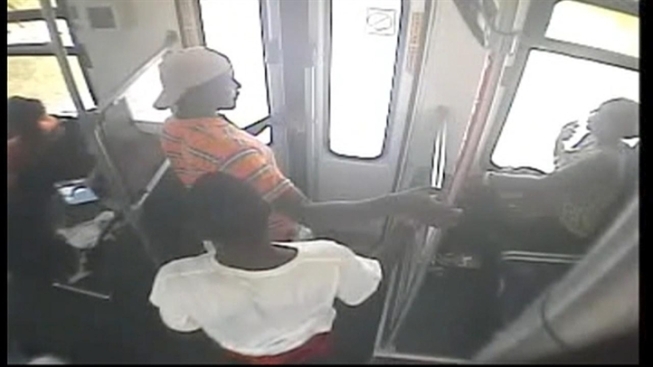 The whole robbery was caught on the bus' surveillance system, the BSO said. The BSO is looking for the man and is offering a $3,000 reward for info leading to an arrest. Anyone with information is asked to call Broward Crime Stoppers at 954-493-TIPS.